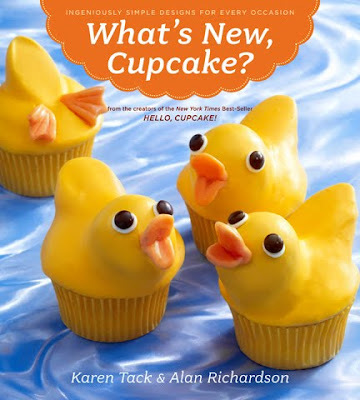 Authors Karen Tack and Alan Richardson are about to go on a big book tour for their latest, What's New, Cupcake? (click here for some photos and recipes from the book, and we'll have more soon). Visit their official site for cupcake decorating tips and tune in tomorrow to the Today Show for special April Fool's Day cupcakes. Just got my copy last weekend! LOVE IT! I think I might love it more than the first! Pooh! Why can't you come to the Pittsburgh area?